1877 Indian Head cents are as famous within their series as the 1909 S VDB Lincoln cent is for that design. What makes the 1877 penny so desirable? It has a very low mintage, and is actually the second-lowest mintage coin in the series. What’s the lowest-mintage Indian Head penny? That honor belongs to the 1909-S Indian Head cent. The oft-published mintage of 1877 pennies is 852,500, but some theories suggest the actual mintage is much lower. 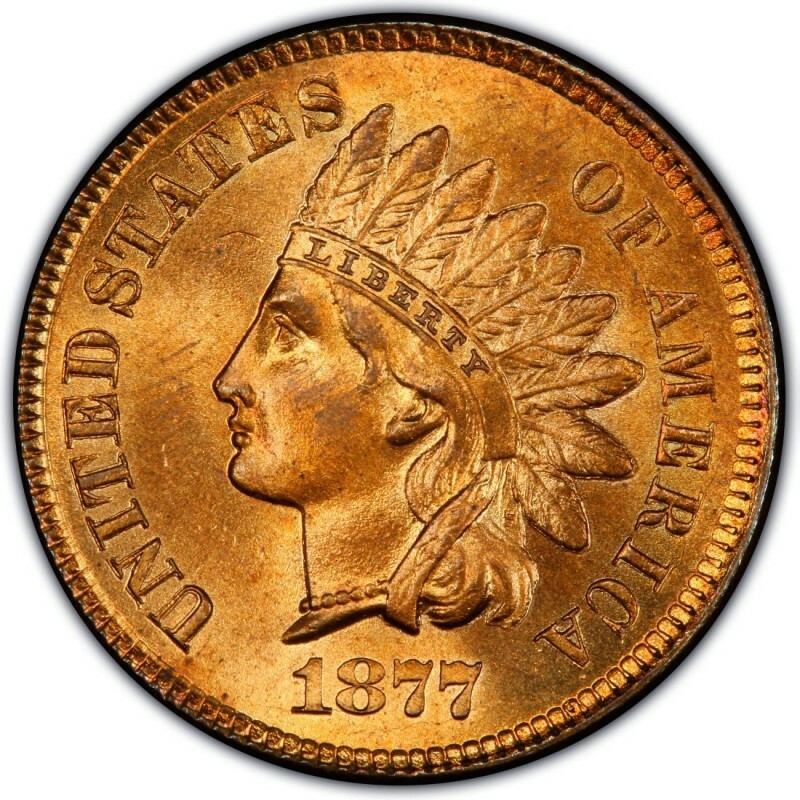 Numismatic experts know of just one reverse die, but there are no known 1877 Indian Head cents that exhibit die issues – something one would expect from a die that struck more than 800,000 coins. So, the theory goes that the actual mintage of 1877 pennies is much lower than the official mintage figure suggests. 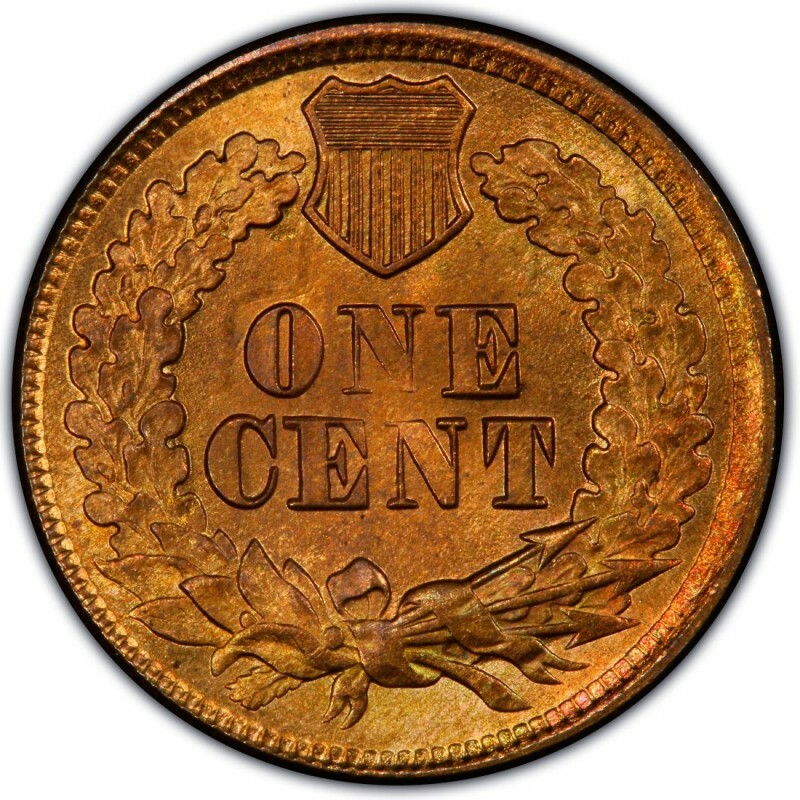 At any rate, only about 5,000 of the 1877 pennies are known to survive, which is a smaller number than the 1909-S Indian Head pennies. An 1877 Indian Head penny in a grade of Good-4 retails for $980, with the proof specimen selling for $12,000. Incidentally, some 900 proof pennies were made in 1877, which is not a particularly low number of pieces as compared to other years during which much higher numbers of business-strike 1877 Indian Head cents were made. In every respect, the 1877 is a rare key-date, and you should be cautious in buying any 1877 pennies sight-unseen. The best recommendation is to buy authenticated and graded specimens in a sonically sealed plastic holder from a reputable third-party coin firm.